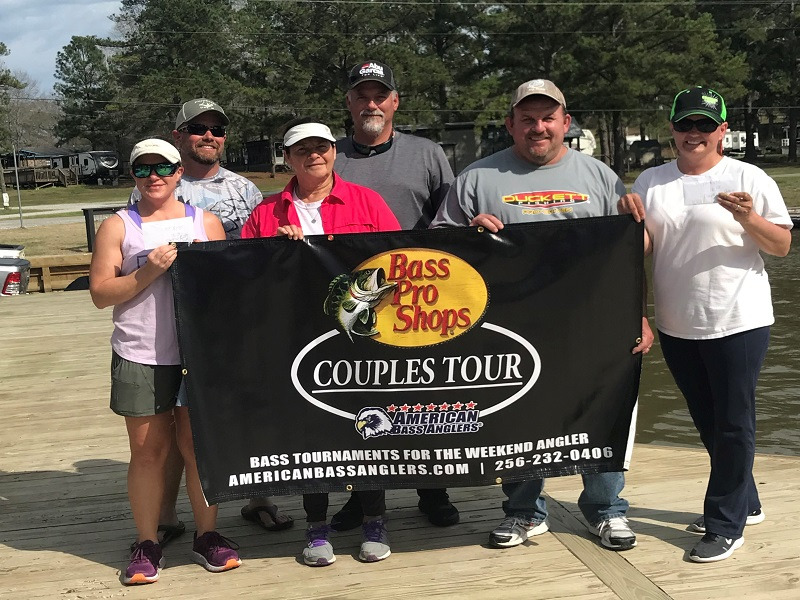 ATHENS, Ala. – Donathan and Sherry Jacks of Clanton, AL won the American Couples Series, operated by American Bass Anglers, Central Alabama Division 1 tournament, held October 28, 2017, on Lay Lake. 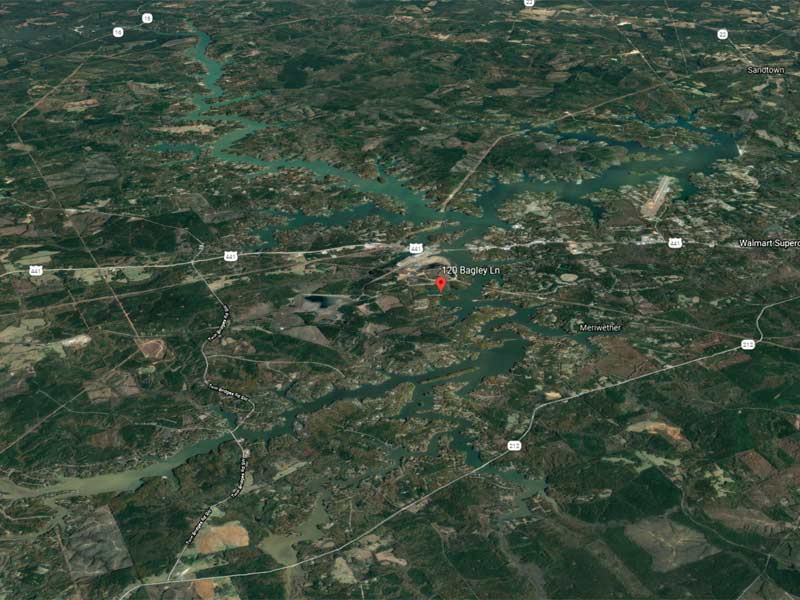 Running out of Paradise Point in Columbiana, AL the team caught 5 bass weighing 11.39 pounds. For the victory, they earned a check for $405.00. Sherry won Woman’s Big Fish with a 2.86 pound large-mouth. The Jacks’ caught their fish on shaky heads on main lake grass lines. In second for the 9 teams, Joseph and Dimple Clevinger of Troy, AL caught five bass weighing 10.74 pounds and took home $270.00. Taking third place, the team of Terry Durham of McCalla, AL and Ann Boatright of Cleveland, AL caught 5 bass weighing 8.91 pounds. Fourth place was Doug and Rosemarie Goodall of Wetumpka, AL who caught 5 bass weighing 8.78 pounds. 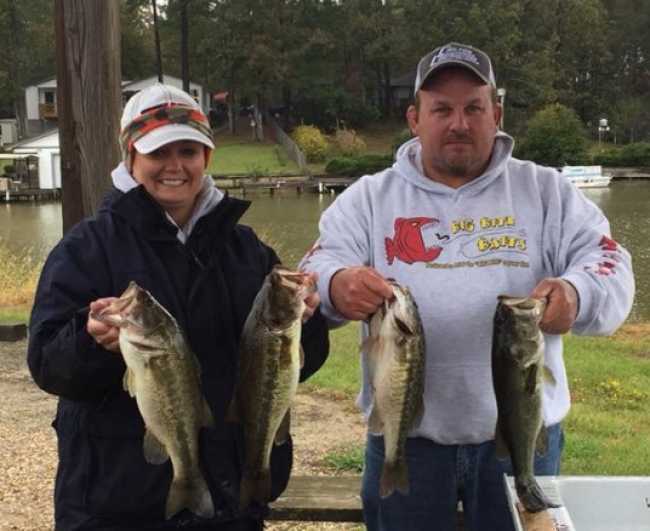 Joseph and Rhonda Vanzant of Sylacauga, AL rounded out the top five teams with 5 bass weighing 6.74 pounds. Mark Shannon won Man’s Big Fish with a 3.31 pound spot. The next divisional tournament is November 11, 2017 on Logan Martin out of Clear Creek Marina. All ABA American Couples Series events involve a team format with each team composed of one man and one woman. Although many married couples compete together as teams, some teams consist of boyfriend and girlfriend combinations, parent-child combinations or just two friends. Contestants between 12 and 18 years old may participate with a parent’s written permission.